Grind ginger, green chilli, cilantro, garlic with 1 onion and tomato into a smooth paste. Heat oil in a pressure cooker and add mustard, jeera.Let them splutter and add onion. Saute till light brown. Add the grounded paste,haldi and let them become thick and raw smell goes off. Add chopped tinda and green apple, garam masala and Salt. Add water. Cook for 1 whistle and it becomes soft and tender.It will be well cooked.It should not be watery. 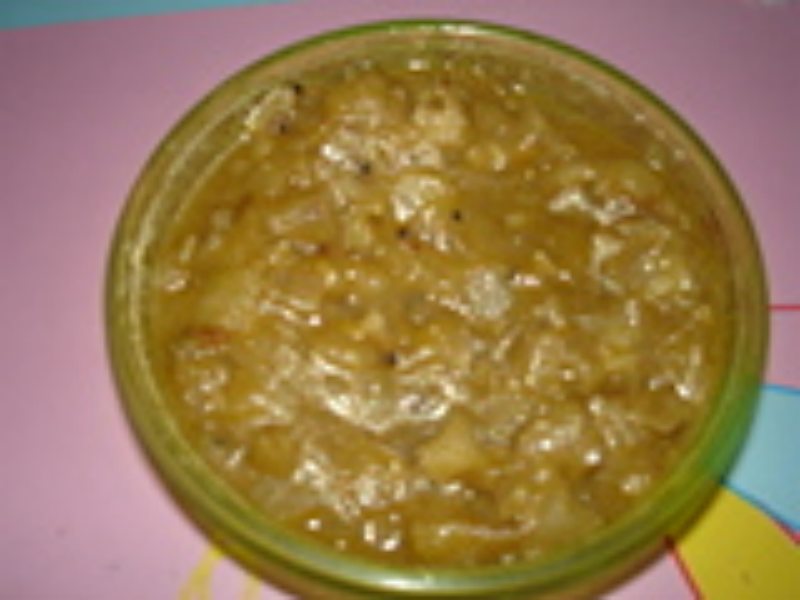 Tinda Green apple Sabji is ready. Serve hot with roti.